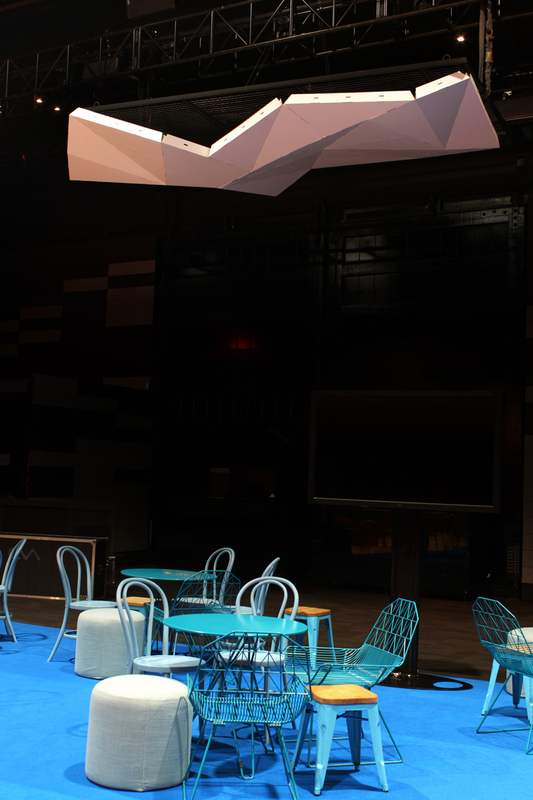 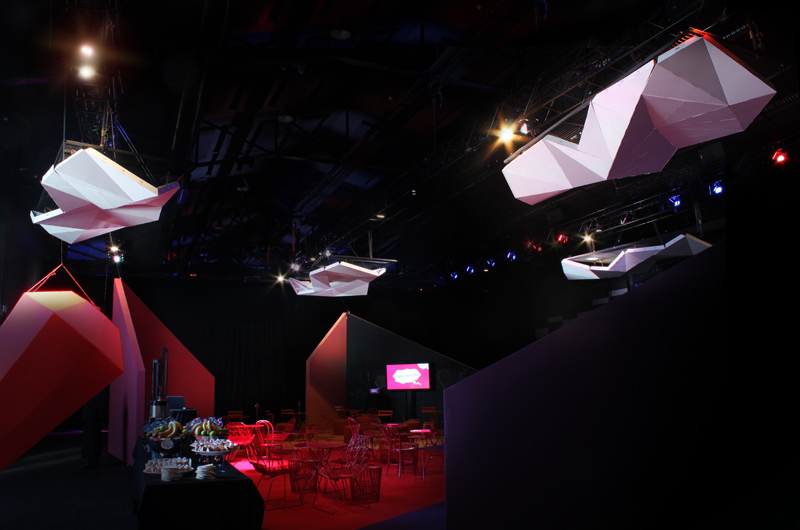 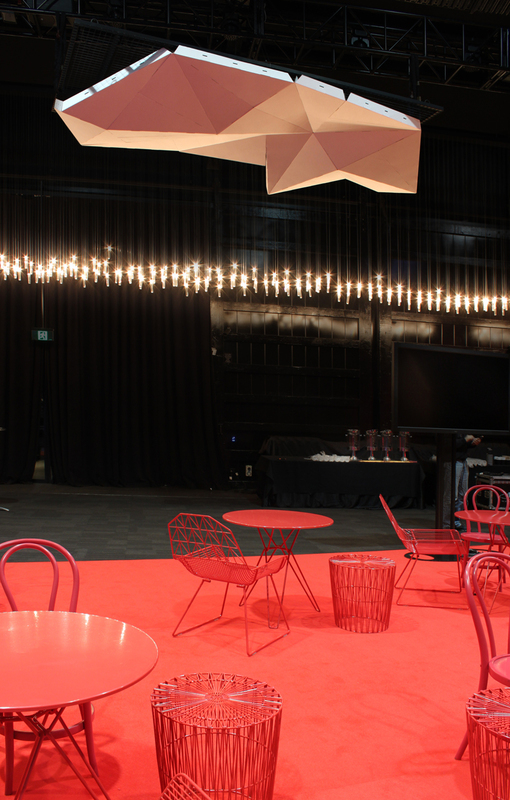 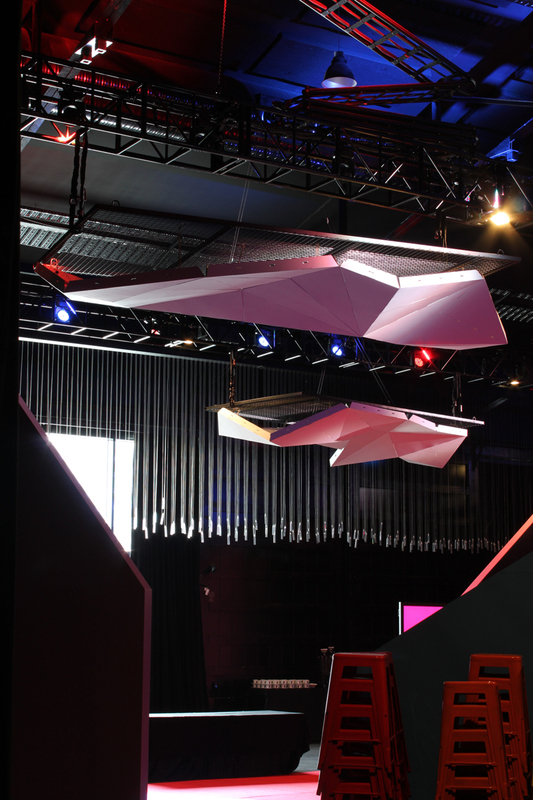 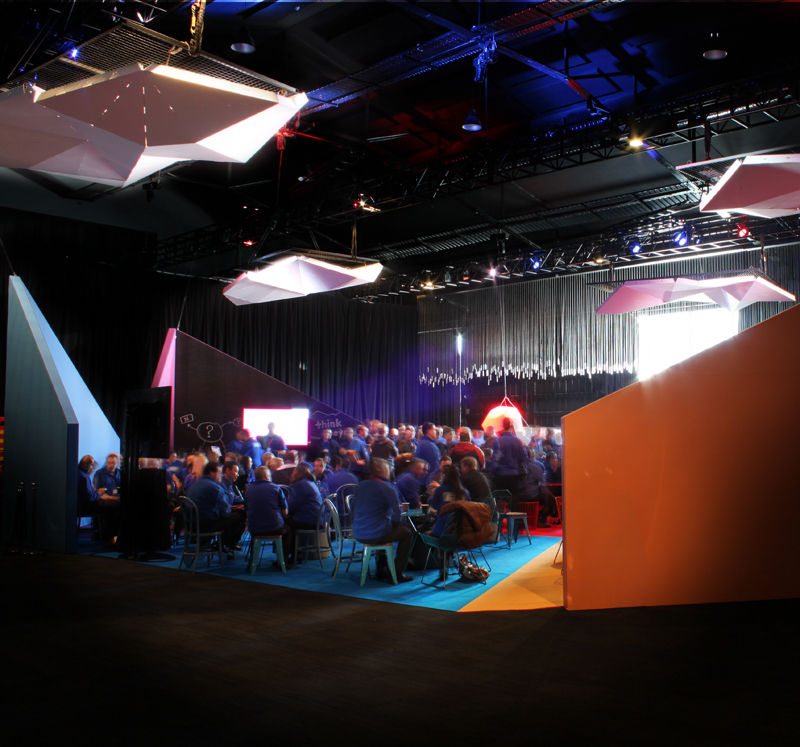 Fold Theory was commissioned to provide decorative ceiling panels for a private corporate convention. 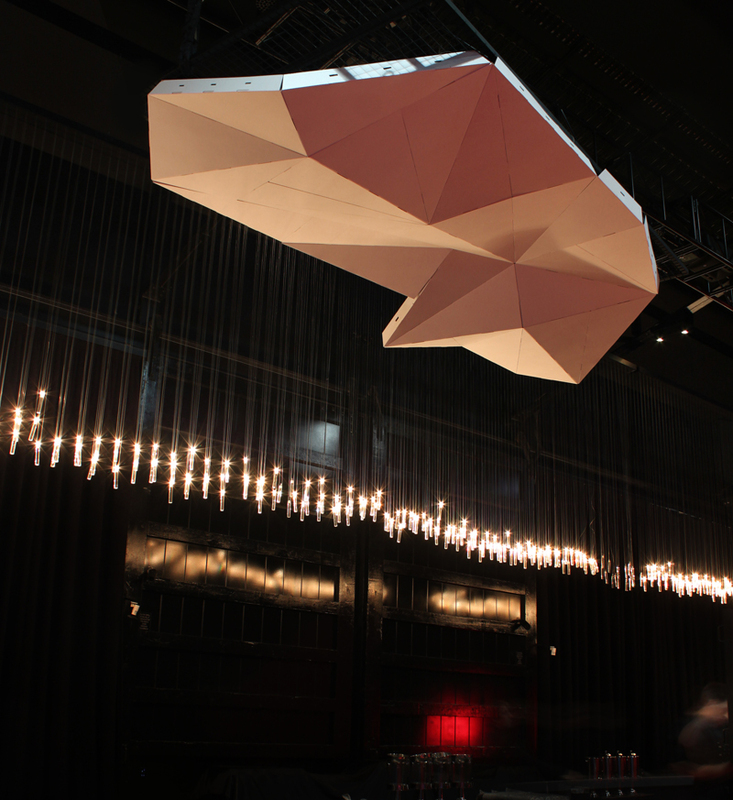 The four abstract ‘clouds’ or ‘thought bubbles’ were located above a cafeteria-like space that was used for workshops. 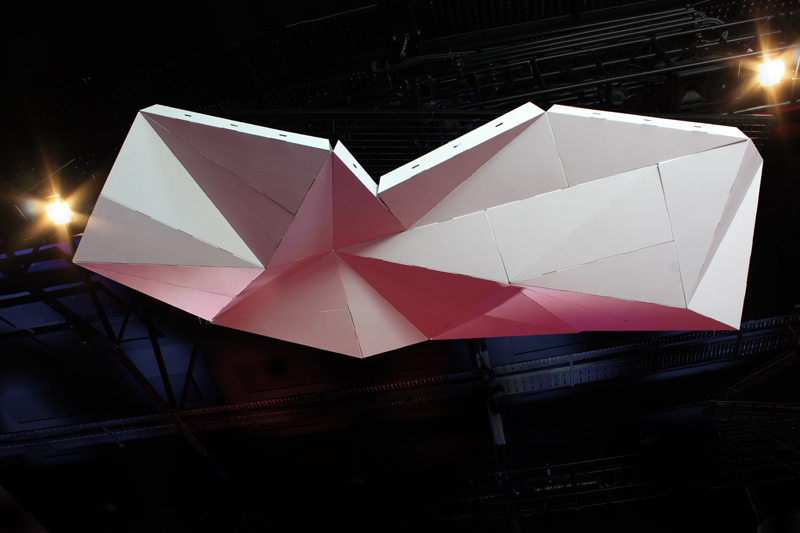 Each cloud was identical, but designed to crumple differently when suspended. 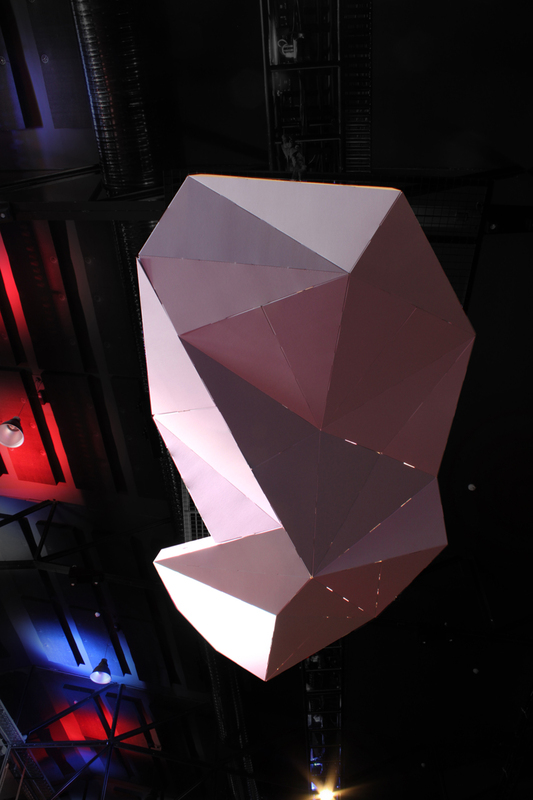 The same geometric module that was developed for Adobe was used: just two identical triangles arranged in a fractal pinwheel pattern to appear random and asymmetrical.